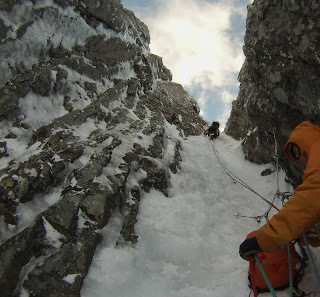 For a long time I have dreamed of doing Green and Comb Gullies on Ben Nevis. I have had both these climbs in mind every time I have headed up to Scotland for the last three years but never with realistic thoughts of being able to attempt them, let alone lead them successfully. 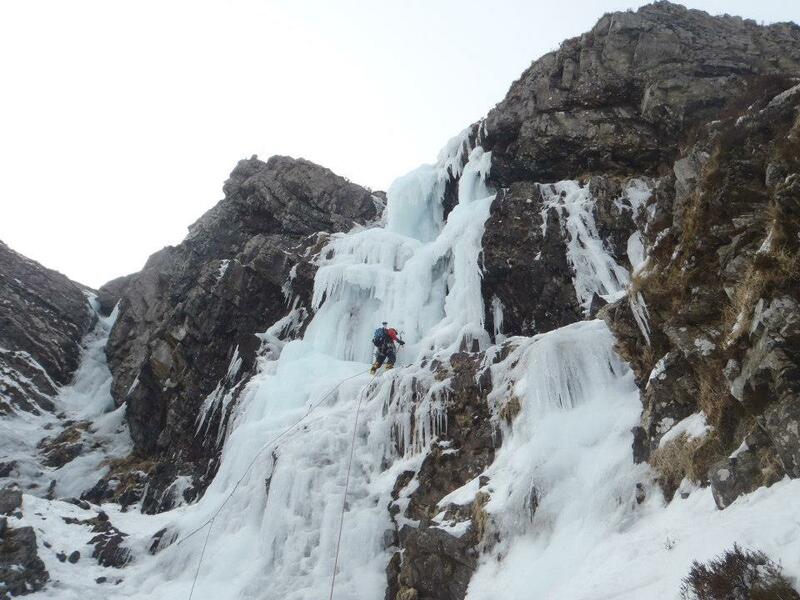 Fortunately though with the Winter Season lasting through until April I was gifted with the opportunity to travel to Scotland over the long bank holiday with 'Monkey Face' and the 'Captain' with the recurring dreams of Green and Comb Gullies. However with surprise I found myself walking into the Ben Nevis with the actual intention of climbing Green Gully and no less alternate leading. What I realised on finishing this climb and on completing Comb gully two days later was that I had built a mental block towards climbs like this, putting them on a plinth which I thought I would never be able to stand upon myself. With these two climbs having gone some way towards expanding this narrowed view I found myself almost a week later standing at the foot of the Screen in Cwm Idwal (Devil's Kitchen) preparing to tackle the steep pillar on the first ice pitch. Climbing these three climbs in such a short space of time has opened my mind to the possibilities out there if I seize the chances available to me and aim to achieve things that I once thought impossible. Sitting here now with the Winter Season drawing to a close for me I can only wait for the weather to roll back and for the opportunity to get out and test my new resolve on the Grit.